Like selling a cheap knockoff, Defendants sold the Random dance in-game and simply renamed it to “Orange Justice.” However, the Orange Justice and the Random are one and the same. Indeed, this is made plain by the caption text that accompanies the Orange Justice that is the same as the Orange Shirt Kid’s Catchphrase “It’s also a great exercise move” as well as the name of the emote—“Orange Justice” is an obvious reference to “Orange Shirt Kid.” Defendants did not credit Orange Shirt Kid nor seek his consent to use, display, reproduce, sell, or create a derivative work based upon Orange Shirt Kid’s Random dance or likeness in Fortnite. Defendants also did not seek his consent to use the Catchphrase in Fortnite. Amini designs and sells unique furniture at various tradeshows and through distributors and its furniture designs are featured in magazines and on popular websites. Amini obtains intellectual property protection for its furniture designs, including three copyright registrations (Reg. Nos. 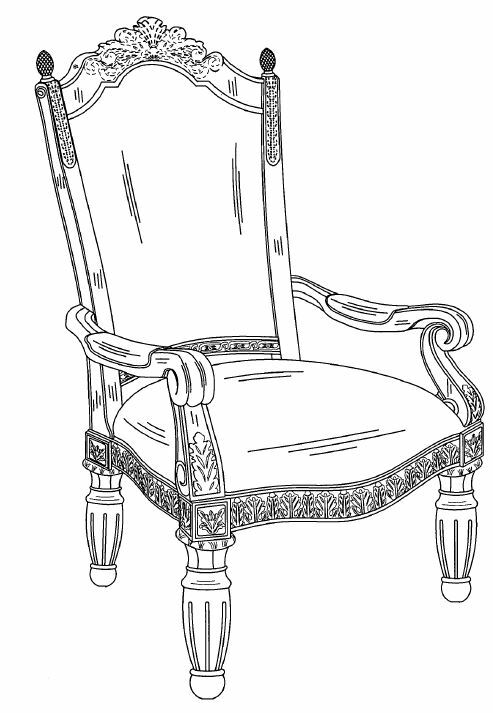 VA 1-627-918; VA 1-627-828; VA 1-627-832) and three design patents (Design Patent Nos. D592,893 for a table; D644,852 for a China cabinet-buffet; and D576,409 for a chair). These registrations are for various items such as china cabinets, arm chairs, and tables. Amini is suing Cosmos Furniture, both its U.S. and Canadian companies, for copyright infringement, design patent infringement, and breach of settlement agreements. In a prior litigation, Amini sued Cosmos Canada for copyright infringement and design patent infringement. Before trial, Cosmos Canada settled by agreeing to cease sales of the accused furniture and removing the products from their website. This 2009 agreement extended to all companies, affiliates, and employees related to Cosmos Canada, which includes Cosmos U.S. In 2011, Amini allegedly learned that many of the items in the settlement agreement were reintroduced to the website and still sold. Amini notified Cosmos and another settlement agreement was reached. This second settlement agreement required Cosmos to exercise due diligence to avoid infringing Amini’s designs, and specifically itemized Amini’s intellectual property rights that could not be violated. House of Lashes is a Southern California beauty company that sells eyelashes, beauty products, and accessories, and is well known in the beauty and eyelash industry. House of Lashes owns the federally registered ICONIC trademark (Reg. No. 4.839,324) for false eyelashes, adhesives for affixing eyelashes, and artificial eyelashes. Additionally, House of Lashes has a federal copyright registration for a photograph of its “Iconic” lashes (Copyright Reg. No. VA 1-996-524). House of Lashes’ ICONIC brand of lashes is one of its most popular products and designs on the market and is sold online as well as in many stores nationwide. Additionally, House of Lashes alleges that its product’s packaging is inherently distinctive because it is unique in the eyelash industry, and combines elements making it recognizable to consumers without accompanying words. Kiss Nail Products is a competitor in the beauty industry that began selling “Iconic” brand eyelashes on websites and in stores. On April 24, 2018, House of Lashes sent Kiss Nail Products a cease and desist letter, and the latter responded that it would not be complying with the cease and desist letter and would continue to make and sell “Iconic” branded eyelashes. Thus, House of Lashes is suing Kiss Nail Products for (1) infringement of registered trademarks (15 U.S.C. § 1114), (2) unfair competition (15 U.S.C. § 1114), (3) false designation of origin (15 U.S.C. § 1125(a)), (4) trade dress infringement (15 U.S.C. § 1125(a)), (5) copyright infringement (17 U.S.C. § 501), (6) registered trademark infringement (Cal. Bus. & Prof. Code § 14335), (7) unfair competition and false designation of origin (Cal. Bus. & Prof. Code § 17200 et seq. and § 17500), and (8) declaratory judgment. House of Lashes alleges money and time investment in building a loyal fan base and protecting its ICONIC trademark, including a strong social media presence with millions of followers, videos with 18 million views, and estimates over a billion impressions related to their ICONIC brand eyelashes. House of Lashes argues that the defendant’s purpose in using the Iconic trademark and packaging trade dress is to cause confusion or to deceive customers. Defendant is also accused of intentionally copying the design, layout, visual presentation, and arrangement in photographs displaying the eyelashes, thereby infringing House of Lashes’ copyrighted photographs. Brett Daniels, a professional magician, collaborated and contracted with defendants Simon Painter and Timothy Lawson on a variety of live magic shows and a potential magic show for television. 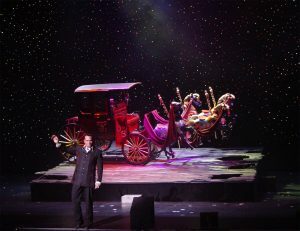 Daniels performed in many live magic shows as one of the group’s largest attractions, using his copyrighted method and choreography to make large vehicles appear out of thin air. Daniels owns the proprietary rights to the concept, apparatus, and method of operation of his “Appearance Illusion,” for which he’s known throughout the magic community. 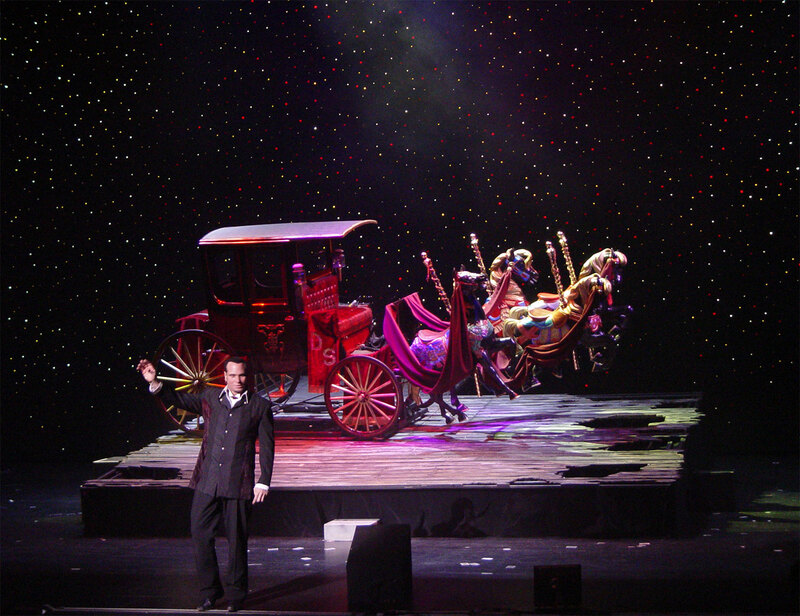 Daniels ceased performing in the live magic shows, but continued to contribute creatively to the business. Daniels played a large part in scouting talent for the show, recruiting all but one of the initial performers in the show. Additionally, Daniels used his TV connections to help further the prospects of a TV magic show. 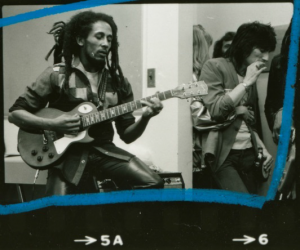 The situation escalated when a Venezuela tour date was added by Painter and Lawson. After arriving in Venezuela, the materials and equipment of the acts were seized. Daniels claims that this was a plan by Painter and Lawson and that they would not assist him in leaving the country. While dealing with a serious illness for five days, Daniels had to threaten legal action before Painter and Lawson provided him with a ticket out of the country. The relationship soured quickly after this trip. Soon after, the defendants stopped paying Daniels the 10% of the act fee budget stated in their contract, and cut his contact off with talent he had recruited. An Instagram media influencer, Nita Batra, along with a class of other Instagram influencers are suing PopSugar for what could be millions of dollars. Batra runs an Instagram account with over 214,000 followers and a connected lifestyle and fashion blog. As with many other Instagram influencers, Batra generates revenue through a contract with LIKEtoKnow.it, an app and website that identifies and sells clothes based on screenshots. The Influencers’ agreement with LIKEtoKNOW.it allows each influencer to monetize the pictures and information they post to their social media sites. The photographs that they post are linked to LIKEtoKnow.it’s app and website, allowing users to find and buy outfits the influencers wear in their Instagram posts. Each influencer receives a percentage of the sale price when users buy products through their links. The profits earned by many influencers with hundreds of thousands of followers can be substantial. Batra claims that PopSugar illegally took copyrighted pictures of many Instagram influencers, removing the referral links from which they profited, and posting the pictures on PopSugar’s website with new links. These new links deprived the media influencers of their profits by directing users to ShopStyle, a website then owned by PopSugar. Batra is suing for violations of the Digital Millennium Copyright Act (17 U.S.C. § 1202) and the Lanham Act (15 U.S.C. § 1125(a)), copyright infringement, violations of the unfair competition law, infringement of the right of publicity, and intentional interference with contract. This feature allegedly cut into the profits of the media influencers and improperly used their names and likenesses without their permission. Instead of Batra and other class members receiving their commissions, PopSugar’s company at the time, ShopStyle, would receive the total profit from purchases made. This is not your ordinary trademark infringement case. It involves Grammy Awards ceremony tickets, allegedly sold by now ex-Recording Academy member and trademark attorney – Matthew Blakely – to alleged swindler and trademark infringer Craig Banaszewski. 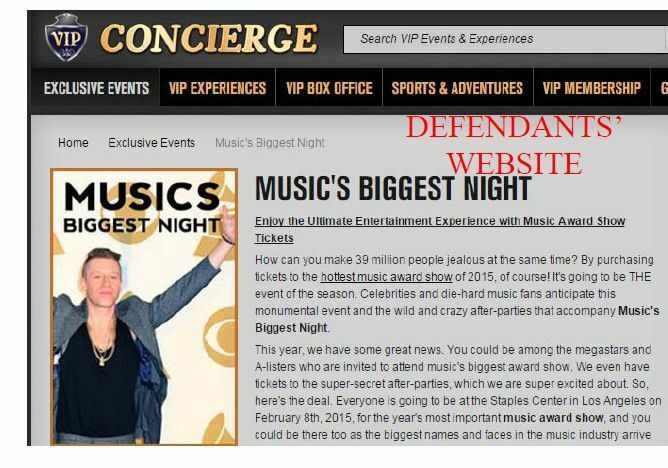 The dispute stretches back to 2012 when the Academy informed defendants that tickets to the Grammy awards were private, invitation only events and any unauthorized transfer or sale of the tickets was unlawful, would automatically void the tickets, and the ticket-holders would be deemed trespassers. Defendants complied with the Academy’s take-down requests and the issue appeared resolved. Kendrick Lamar’s hit song “Rigamortus” may be DOA because he is accused of blatantly copying the music from “The Thorn.” Composer, musician, and recording artist Eric S. Reed composed “The Thorn” in 2009 for Willie Jones III’s 2010 recording The Next Phase (WJ3). Reed is the owner of U.S. Copyright Registration No. Pau 3-682-265 in the composition and Jones is the owner of U.S. Copyright Registration No. SR0721860 in the sound recording. 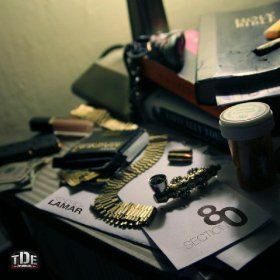 Plaintiffs deny granting Kendrick Lamar permission to use “The Thorn” in any manner, including the numerous versions and remixes which also incorporate Plaintiffs’ original sound recordings. “The Thorn” is not merely a part of “Rigamortus” or even the heart of “Rigamortus”; it is “Rigamortus”. The distinctive and catchy refrain from “The Thorn” sound recording, sped up a bit, repeats as a continuous loop throughout the entire “Rigamortus” song while Lamar raps over it. The clever melodic triplets, infectious rhythm, and commanding horns from “The Thorn” are copied to “Rigamortus” directly from Jones’ sound recording. Defendants did not play any instruments or contribute any original musical performance to the “Rigamortus” sound recording. The instrumental element of “Rigamortus” and the composition that it embodies are owned and authored entirely by Jones and Reed respectively.